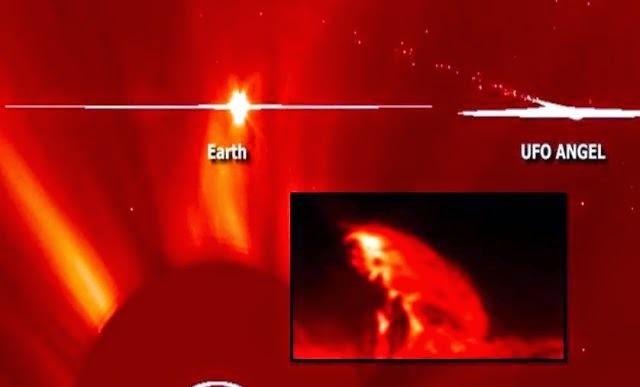 Active Region 12192 unleashed another major Solar Flare on October 24, 2014 peaking to X3.1 - This long duration event appears to have a Coronal Mass Ejection (CME) and this active region was directly earth-facing at the time of the eruption and any outgoing CME will be earth directed. And active Region 12192 unleashed another earth facing major Solar Flare on October 25 peaking to X1. X-class solar flares are the biggest and strongest of them all. The last 6 days, from October 19 to October 25, 2014 active region 12192 has released five major earth facing solar flares: X1.1 / M8.7 / X1.6 / X3.1 / X1.0 so far. According to Major Ed Dames, the well known remote viewing specialist, this is the beginning of the kill shot. Ed Dames made his predictions during an interview in the Coast to Coast show on October 21, 2014. Listen to Ed Dames Interview. I don't know if this is the beginning of the kill shot but somehow, it seems that all these X flares attract the attention of Unidentified Flying Objects. See video below.